Nineteen, a first big season in Serie A and a future yet to be discovered. Jose Mauri, talentino 1996 class of Parma, is the object of desire of many Italian and European clubs. Among those in the last hour it is Milan stood as the most active. As collected by the editorial staff of TuttoMercatoWeb.com, however, one can not speak of negotiations being finalized. The Rossoneri are interested in the Argentine midfielder, as well as other companies (Roma, Napoli and Fiorentina), but nothing is decided yet. Especially in terms of figures for the purchase of the card as the future of Mauri will be decided only after the last bankruptcy auction of Parma FC (scheduled for May 28) will have given outcome. In case of cancellation of the Argentine club ducal will be free on a free, but if there will be saving the sports title only the new property may process, aware of the one-year contract with the player still outstanding. Buy now. This kid is great at everything except aerial duels. The agents are vultures. The clubs are greedy. And the millionaire players are detached and full of their own self-importance. Yeah, it's pretty easy to be cynical about today's football. But then you come across a story like Parma midfielder Jose Mauri and realise it's still a beautiful game. The 19 year-old Argentine has been the one positive for Parma in a disastrous campaign. Moved inside from a wing-back to midfield by coach Roberto Donadoni, Mauri has been a revelation and attracted enquiries from Europe's biggest clubs. Just your normal run-of-the-mill transfer story, right? Well, with Parma now in administration, Mauri, who like the rest of the senior squad hasn't seen any wages for over a year, could walk out on the club for nothing. Indeed, any suitor, Bayern Munich, Atletico Madrid and PSG have all been mentioned, could insist Parma hand him over for pennies. "I've received many calls in recent weeks," says Dino Zampacorta, Mauri's agent. "Several top Italian and foreign clubs are on his trail and have shown interest him. "But the thing I'd like to emphasize is that these various clubs have expressed the intention to pay the transfer fee of the player, without profiting from the complicated situation faced by Parma. "There is no profiteering from the teams involved." And Mauri has gone even further, refusing to have his name included on the list of receivers when Parma entered administration. "I did not sign because my salary would not make a difference. It's more important that the staff, like the physios, do not lose their money. In the end, then, I think they deserve this money." Mauri and Parma will split this summer. The youngster is destined to move to a bigger stage in the coming months. Meanwhile, the Ducali, if they can find a buyer, will kickoff next season in Serie B - and with a decent fee generated from Mauri's sale. "His value?" continued Zampacorta. "Last season, when he made his debut, we thought €8-10 million." Actually, Atletico came knocking in the summer with a bid of €10 million - which was rejected by then Parma president Tommaso Ghirardi. "If Parma was not experiencing the present crisis, he may have a high evaluation similar to (Palermo striker Paulo) Dybala," adds Zampacorta. "We are talking about a guy who is a starter in Serie A and only 19 years old." Mauri's mentor admits it's important at this stage in his career they put development ahead of money. "The important thing is to find a team that believes in Jose Mauri and gives him confidence. If he ends up in a top club like Chelsea, just as an example, to become the fourteenth midfielder in the squad, then we're not interested because it would not be productive for his professional growth." Chelsea haven't shown interest, but Premier League rivals Manchester United and Manchester City have. Mauri thumped home the winner against Juventus last month in front of scouts from both Manchester giants. Mauri was just happy to give Parma's fans and staff some respite after "seven months of hell". "I have 1000 sms - how do I respond to everyone? It's the happiest day of my life," he told reporters. "I want to thank God and my grandmother, who looks down on me from up there. I want to share this joy with all the fans. "After the goal I said incredulously, 'but what did I do?' I did not understand anything. I believe that this goal will go down in history because it isn't easy to score against Juventus. "We had seven months of hell but now we have peace of mind. Football is played with the head not the legs." Pep Guardiola, Louis van Gaal, Diego Simeone... Mauri is rated by the game's very best coaches. But it's understood he's happy to continue his career in Italy and has chosen fallen giants AC Milan for his next move. Adriano Galliani, the Milan GM, has been in touch and with just over a year remaining on Mauri's deal, is happy to cough up €4-5 million to take the Argentine to the San Siro this summer. "It's a good move for him," says former Parma midfielder Marco Osio, "because the Milan team is likely to be rebuilt next season and it's an opportunity to establish himself there. "He's a player who can be used in all midfield roles, he has great skill and vision of the game. He can even be the playmaker, despite not having the height that helps him." Mauri, standing at 5ft 7in, admits he models his game on Barcelona midfielder Javier Mascherano. "I've always regarded myself as a midfielder. My idol? Mascherano. He's the best." 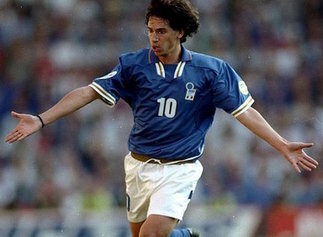 Osio isn't sure about such a comparison, instead nominating another modern day great Mauri could be likened to. "Comparisons are difficult to make, but I can see his career being played as a midfielder just in front of the defence, like (Andrea) Pirlo." From the couple games I've seen of him he looks like he could become a very good b2b midfielder. Very well rounded and can play multiple roles. I really hope he is actually coming here. I hope we get him. At least one solid cog on the midfield..
Parma, ag.Mauri: "Nothing ended with Milan, it takes at least four clubs"
Interviewed by parmalive.com, Dino Zampacorta, agent Jose Mauri, spoke well of the future of his client: "Nothing is done or closed: Milan have always shown great interest, already since before they became known problems of the financial-corporate Parma, then if the technical bid, which has priority, valid, hand in hand with the economic, that they might have a preferred channel. However in the last hours have raised their interest two Italian clubs important and as many from abroad. In addition to the two Italian companies, we have been accelerating from La Liga and the Bundesliga. " Not exactly sure how to feel about it, a good buy for the future but far from a player that will make us have a jump in quality in the next season. That said, a freebie for a youngster like him can always become a profit in a year from now if we decide to sell him, especially if we decide to loan him to a Serie A team (depending also on who else we buy in midfield). The fact that the team can only have 25 players means that we need to be wise on who we keep in the team. In certain aspects he reminds me of Gattuso, in that even though he is small he doesn't mind putting pressure on the opponents and throwing himself in a tackle. They waited the official relegation of Parma in Serie D, so now the player is 100% free. The question is whether we'll be able to get him now. As far as I know, there have been plenty of teams interested (Juventus, Fiorentina, Lazio, etc) and that's not counting teams in other league-s, which will only make him ask for higher salary (ala Kondogbia). I just don't wanna drag this and end up losing him (if our management thinks that he's a good buy) or get an inflated salary (like we did with Mexes), otherwise we should say that we're not interested and call it a day. From what I hear, Poli will be offered to Torino for Maksimovic, so that means we'll have two spots to fill in midfield. Yes, the question is wether we'll be able to get him now, but fact is negotiations started again the same day the player become free. I don't think we will give him a big salary. He's still very young, with no international experience. In recent years there is a quite definite policy about salararies and experience matters a lot. We will more likely have to pay an high commission to his agent (like Juventus did with Raiola for Pogba). I also don't think he will chose Juventus, becouse he would barely have playing time, or Fiorentina/Lazio, where he would earn far less money. Our chance for him are good. let me guess we'll miss him too. We've been "very close" to signing him for like 2 months. Every time he's mentioned it's in "the next few days" and then nothing happens until the next rumor. It's being reported as a done deal today (contract till 2019), no other teams linked with him in the last few days either... it's obvious that nothing is fully done until the signatures are placed (see Imbula and Porto), but yeah we're in a solid position. Great news. Mauri and Baselli is a good start to rebuilding our future.